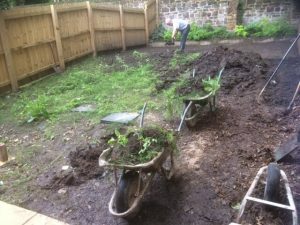 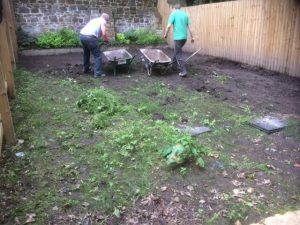 This was an extensive garden redesign and makeover. 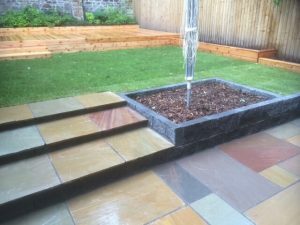 We fitted a decked area along with raised planters out of red cedar to create a bespoke look. 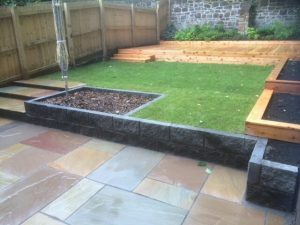 We then created tiers, as the garden was on a slope, using decorative walling and to finish the job off we installed a natural stone patio and new lawn to give this garden an impressive look.